These are thrilling times to be alive. New expansions of consciousness and new realisations about the nature of our divinity are unfolding day-by-day. This is all timed with crucial earth shifts designed to bring the planet into a higher "5D" paradigm. Openhand is a higher dimensional energy, the integrated consciousness of Enlightened Masters through the ages, which can bridge you into your higher self. We help you embody and live the expanded consciousness in your daily life, right now. 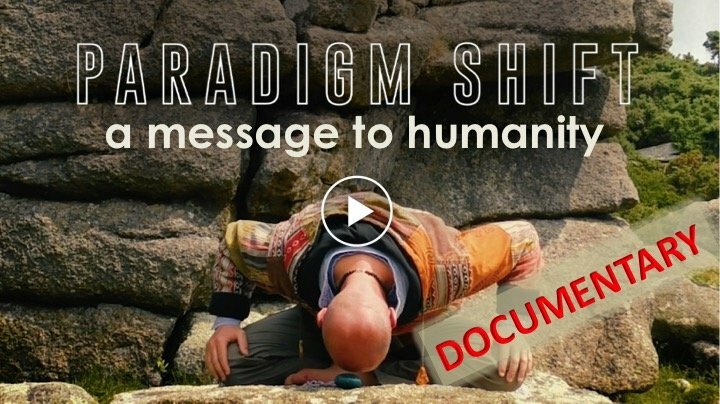 Hi everyone - I'm already greatly looking forwards to the PARADIGM SHIFT World Tour. The Openhand work has always been a 'Bell-Weather', which synchronistically aligns itself with key phases in the critical Earth Shift. I can already feel the energy building to help people gain maximum benefit from it in their lives. Thanks so much to organisers around the world helping pull the threads of these events together. We're going to have a profound and magical time! It is finally starting to hit home the totalness of the coming shift. Sobering the imperative to wake up and get going!!!! 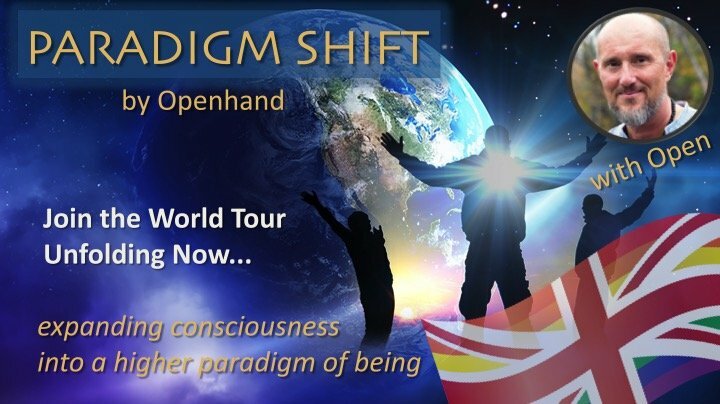 Thrilled to release details of the PARADIGM SHIFT World Tour! It's been a herculean task these last weeks, but thanks to our wonderful organisers around the world, we've now woven the threads of our new PARADIGM SHIFT events together. If you're new to Openhand, there's no better time to get involved. 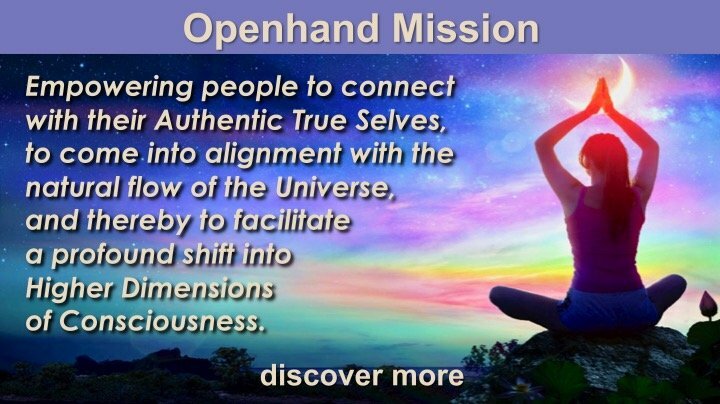 Openhand is a higher dimensional consciousness, which some have referred to as "Ascended Masters", that we see more as an integrated, highly evolved benevolent energy, designed to bring you into full awareness of your divine self. Most importantly, how do you become a part of, and benefit from, the great "5D" shift into expanded consciousness that's taking place all around us? For Openhand, it's about helping people live that, right now, in their day to day lives, to feel divinely connected and supported all the time. If you're resonating with the sense of what I'm saying, then come discover more about the work and get involved. We'd love to connect with you. See you down the flow! Wow! Looks absolutely amazing Open. I hope to see you and many others down the flow!! Allowing integration of this seemingly higher state of benevolent energy of awareness through a conscious commitment as a way of beingness with the simultaneous expression breathing through the physical being is a continual enlightening journey. Hello beautiful Jen- soul sister- thank you for reaching out on a previous thread. Lots of deeply ingrained patterns of human behavior/reactions/conditioning are unwinding. It's a symphony of the senses on so many levels with many high to low notes interchanging to reveal energetic shifting changes. hope to cross paths with you soon, much much love to you! Hi Erica - great to "see" you. Yes, lots of "ingrained human patterns" are winding indeed. Today , loads of synchronistic messages came my way in no uncertain terms but well in various forms and Uplifting manners . Many are not only for myself but for the Openhand community as well and all souls working diligently within the shift . Firstly , on my way to Brussels , 2 Herons passed over my car . The first went from left to right , than 10 seconds later , the second one from right to left !! Patience felt within , double sided . Than 2 cars of the same brand & model pass me within 2 minutes or so . Nothing exceptional except that those 2 Hyundai are called " Tucson " , a midsize border town in South Arizona . It must be the 6th time that Arizona has come to plain view lately . Jeeeeeeez , my heart is overwhelmed by the sheer power of its deep meaning . My favorite music band is form Tucson & The Hopi & the Navajo live nearby . After a short visit to a client , just as i am stepping out of that building , my attention was directly attracted to the floor : A small silver medallion with 'Ascended Master' Mary on it . Bang ! The Divine feminine archetype infusing the whole shift as to smooth the convoluted process taking place for all . That spoke directly to my heart as well . Downtown Brussels where i rarely go , i am now freewheeling full on , even if i didnt sleep much ( so much energy has been flowing in for 2, 3 weeks ) i can read the flow's messages . How come ? So i let the flow take me wherever it wants to . I am often guided to speak to people about their situation - in shops or other places according to how it feels right . Always so interesting to listen to others and how they feel . Now i am taking a few pictures that feel interesting or important . A small sticker with " Sirius " appears suddenly while i was just looking at something else on the walkway .Wow , this is getting deep . Whats next ? i enter a shop full of music records - i might be attracted to a special cover or a cd that will be useful . I finally feel given to buy a cd form a band called " The Pixies " . The title of the album is " Trompe Le Monde " . Now as i am writing , i felt the pull to search for the real meaning of a Pixie : " A supernatural being in folklore and children's stories, typically portrayed as small and humanlike in form, with pointed ears and a pointed hat. Trompe le Monde in French literally means : " Deceive the World " . Interesting messages indeed . I worked for that shop exactly 22 years ago and i exchanged a few sweet moments with the Owner ( same one as before ) . He tells me that at 65 , he is back with his drumming passion . Synchronistically , i had the same pull a few weeks ago . Can it get any better i keep asking myself ? Than , on my way back home , one last BIG message comes on a Huge Advertisement board for a New Jeep at the exit of Brussels outskirts : " New Compass , Recalculate your destination " I sense its more like " Recalibrate your alignment , commitment , Inner connection to Higher Self Center " . Its just amazing how the Divine flow works tirelessly to bring our awareness to important possibilities / portals / breakthroughs / gradual self -Realization points /gateways / shifts & feeling supported & loved . Its so so important right now . That last message was truly felt in alignment with the New Paradigm Openhand world tour . I feel given as well to organize next year one new leg of that Tour in Belgium - its been a while since i felt that pull but never quite got into the veil that was blocking its full possibility . Today , amazingly , an old block has melt down thanks to my commitment to get through that veil . Thank you Higher Self , your catalytic Presence made it possible . Today, I was facilitating a group of people on a 4 hour spiritual course called 'Awake on Dartmoor', which is about deep connection with Nature. So we have been meditating, connecting, walking, opening the senses, body and intuitive capacities. We were walking on a single file line meditating and when we stopped at a spot near a beautiful stream flowing into the reservoir my eyes dropped onto a small round pebble which was lodged into the bark of a green mossy tree. The pebble was painted with a Pixie and the words: 'little lucky pixie' were written on it with the image of a green clothed, long eared, laughing pixie. To me, it felt like saying: its about the magic all around, the lightness, seeing the magic in Nature and embodying it. And here you are talking about the pixie and the meaning of it: Supernatural. My invitation was to see the Supernatural right here and now, in the chaos and also in the messiness of human conditioning. Its just amazing how the Divine flow works tirelessly to bring our awareness to important possibilities / portals / breakthroughs / gradual self -Realization points /gateways / shifts & feeling supported & loved . Its so so important right now . That last message was truly felt in alignment with the New Paradigm Openhand world tour . I truly felt supported and loved today by divine signs and synchs amidst the breakthroughs of the moment! There are transitions happening, that's the tour of the Soul! Exciting times indeed! Thank you Jean-Michel and Aspasia for another timely message which have been coming on a regular basis. Signs in synchronicities, WOW. For some time I been trying to right here about my adventures at the 5-day retreat. It may come in dribs and drabs or not. Even with this new program that takes my words and puts them down in writing showed up in my email after I got home from the retreat. I find it difficult to put it down, just hasn't felt right yet. Jean-Michel you mentioned freewheeling, this is one of the things that Open had us do on the last day. He asked us how we felt and to hold on to it and take this out into the Matrix and see what answers we get. The feeling that I had was I felt everything and nothing. Not knowing what to expect I went out the door. First sign I seen from the doorway was Perfect life, the feeling I got was this is for somebody else. Without moving I look to the right and the name of the church was Saint Rose, Rose was the name of a beautiful lady that had joined us at the retreat. So I thought maybe the message was for her. I started to walk and across the street there was a sign in front of the school that said Open excavation, was not sure about it, but it didn't feel right for me. I walked a little further and another sign which said Partner Groups, another interesting sign. I walked a little bit further and here was a graveyard with two gentlemen working in it, a small graveyard off the side of a big one. I've always been drawn to graveyards and find a lot of Peace there. So I went in without disrupting the two men working there. As I walk through the graveyard I noticed that it was a family plot, one of the names on the stones was Downey which made me think of the UK, then realize that it was Downing. As I walk through the graveyard looking at the stones and dates on the stones, feeling the presence of all of the names with me as I read them. I came across a broken Stone made of slate and when I looked at the front of it, there was nothing on it. No Engravings. I felt the need to embrace this Stone and as I did, then felt a draw to sit with it. As I sat with the stone in my arms I ask myself Show Me. It came to me how I was truly feeling was like a blank slate. And when I open my eyes there was a purple nylon flower petal next to me. The color purple has been with me for a while now and that's a whole different story. Anyway I talked to the two gentleman before leaving, thanking them for their service. They had their own stories to tell and one of the gentleman thank me for recognizing the work that they were doing and said I was the only one that had noticed. At that moment at the back of the graveyard this beautiful, remarkable, colorful pheasant walked out from the brush into the graveyard and looked at us. At this time I pointed out the Pheasant to the two gentlemen and I said I'm not the only one that thanks you for your work here. This is the universe's way of showing that what you are doing is received. I was quite excited to get back in the share my freewheeling experience with the rest of the group. As I shared with the group I had pointed out that the feeling that I had when I was leaving was one of everything and nothing and that's a blank slate fit right in the middle of the two, how awesome. Aspasia when you mentioned Pixies helped me write this. At the end of The retreat I had a moment to talk to Open a little bit. Earlier on that day he is taking us on a meditative Journey where Open asked to visualize an animal or something that we believe to be our spirit animal. I could be wrong about how I'm explaining this but I think you will get the just of it. I've always been close to the eagle and I always believed that it was my spirit animal. So as I follow this journey that Open was guiding us through led me to a field. At the end of this field, what I could see was a pink flower with different shades of blues and yellows leaves and a green stem. The closer I got what I noticed was the leaves were in the shape of people as was the stem, with the flower tilted towards me. So I look behind in the shade of the flower and lo and behold what eyes could see was a pixie which I referred to as a fairy. Open's interpretations of my dream was bang on. I'm getting nervous now after proofreading this and what he told me is eluding me. If I don't send this now it will surely be deleted. As for all things that I right get deleted because of proofreading and scared of making mistakes that other people will see. It's funny though because if I was right in front of you or a group of people I could share my experiences of whatever happened without any deleting. What an amazing story of freewheeling and being pulled by the signs and synchronicities to receive guidance, clarity and support in life. And of course to actualise and realise! The way you described your journey it beautifully illustrates the magic co-created in Openhand retreats. Like you, I had found on my very first retreat the power of free wheeling and the deeper connection we can experience to everything around us. To me, this feeling was about being everything and nothing at the same time! 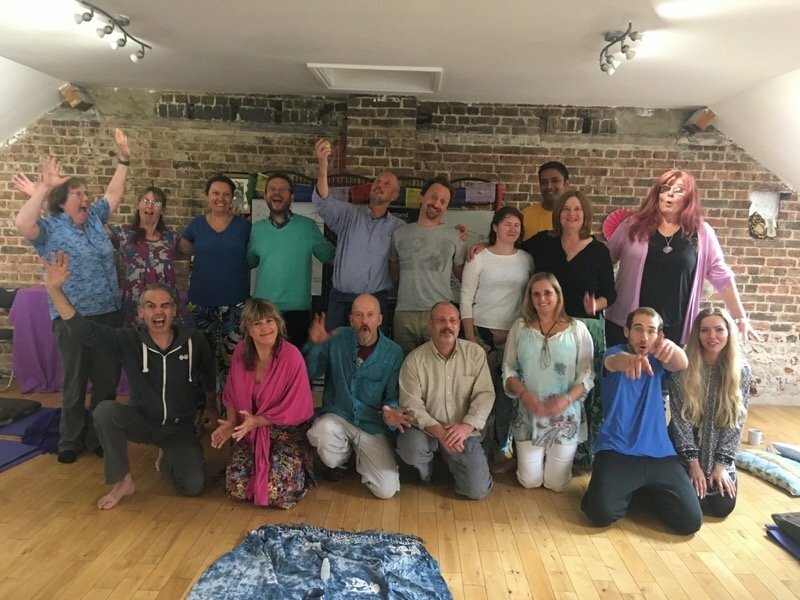 Our first terrestrial event in the Paradigm Shift Tour took place this weekend, in the highly conscious seaside town of Brighton, on the English coast south of London. It was a tremendous experience indeed. 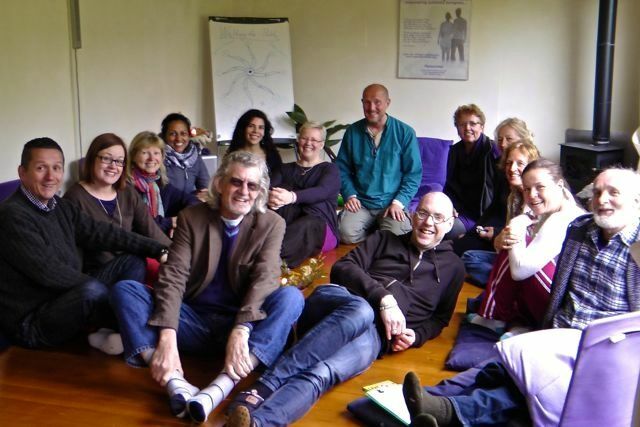 A lovely group of souls gathered from far and wide across the UK - it's always a privilege and a pleasure to connect and host. It never ceases to amaze me who shows up - all amazingly unique beings, and yet connecting on common threads of openheartedness, compassion, love for all life, and the deep soulful belief that a greater harmony for all sentient life is possible and unfolding. Let's be clear, it will be no great leaders of society, politicians, scientists or businessmen that usher in the New Paradigm - it is the quiet people, the compassionate and loving people, embodying the light and shining it wherever they can, no matter what the challenges or the rebuffs. This was a new format for Openhand - condensing the main essence of the work into 1 day (with follow up meditations). I felt to reconfigure this way so as to make the work more accessible to more people who might not necessarily have the funds for a full weekend - pleasingly the approach drew plenty of newcomers - it was awesome to meet you all And didn't we go deep! It's clear the field is opening up, and so the restraints (especially of the intervention energies) are falling away faster. Openhand is never shied away from confronting the density, and the the Opposing Consciousness, which has locked people into limitation. It's only such direct confrontation of truth that can truly set us free. Consequently there were massive breakthroughs happening by all - it was breath-taking to witness and facilitate. Thanks to all participants for making it so special. What is this is all the love you ever get? 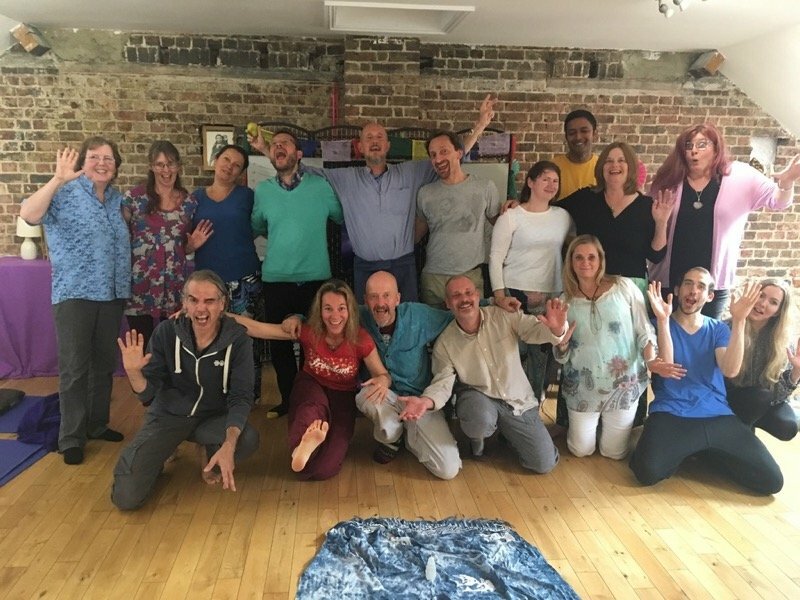 As those who've attended the workshops know, we let the flow pick tracks that speak into the meditations of the moment, to amplify the emotion and feelings, to unleash and unwind. We've all known the pain of abandonment, the wreckage of broken experiences, relationships and promises. The key is not to shirk away from the pain, but go right into it, and break the illusion of expectation - accepting life as it really is. It's then that you discover the completeness of the divine. What if there are no expectations in the moment? What if in this moment right now, this is all the love you'll ever get? It is so amazing that you posted this! Especially after I have been watching your instructional videos about leaning into the pain and the freedom that it has afforded me...feels like a literal planet's weight has been lifted. This album has been on repeat for me (I have literally been unable to listen to much else, lol!) since I first heard the song you posted "Life On Earth" and it has become my second spirit guide. Lately I have pondered what the expression of me is in relation to what I express. A piece of music is an expression of oneself, whether you compose it or just admire it. The human construct and world around you is a direct mirror and/or manifestation of the experience you are having within your spirit body. The joy you create can expand to any extent or can deteriorate significantly if not vigilant of the constant cultivation of spirit needed to remain in your highest light. If you feel hopeless or insignificant that is how you will experience yourself, but if you feel beautiful and light filled that will be your experience of yourself. I used to think that I had to be the MOST humble person at all times and only allowed myself to take pride in things that served others. Upon deep reflection of my character defects, however, I found that having that level of humility actually becomes hubris. In all things balance is the key. Chakras, flowing and balanced unifies you with spirit, a well “balanced” diet keeps you healthy, they call having multiple responsibilities a “balancing act”…the list goes on. Recently, through my quickening awakening process, I was experiencing such joy (even the sky and the sun and the green all around me was more intensely beautiful than I had already thought it was before). I saw some clouds (not at all unusual in the Pacific Northwest) and literally laughed out loud from the abundant joy viewing them brought to my heart. A few times I caught myself thinking “this can’t go on forever, I cannot sustain it.” Then I thought of recent advice given to me from this site and decided to just ride the wave and embrace whatever may come. The joy continued, so I just keep using it to shine for myself and others as brightly as I can. So many things have been coming to me and the undeniable synchronicities have blown my mind. I noticed, after watching the video about leaning into the pain of traumatic events or experiences, that I had been avoiding anything that might make me feel sad (like the song above that I mentioned...the rest of the album brings me inexplicable joy, so I avoided the few sad ones every time I listened). I did not notice it immediately upon viewing the video, but later that evening while watching a movie with my friend when I suddenly began sobbing, for no reason that I could explain, after seeing the character in the movie stand up and show that she was pregnant with a baby her husband created with her prior to his death. This was the “surprise element” of the story, but I did not feel connected to what it presented for the characters. I actually felt completely detached from the movie (which is unusual for me, but is happening more often with certain activities). I also have zero attachment to that scenario, yet the pain that came out of me caused me to sob uncontrollably. I went into the bathroom to get away and connect to my feelings and realized that, oddly, the sadness that had come was with regards to the pain I still felt having lost my basset hound, Mulder, years (almost 15 years) ago. I always thought that he was the best dog ever as he stayed by my side through multiple rounds of chemo and radiation, licking my face if it needed cleaning, sitting on my feet when they were cold, cuddling me on the bathroom floor when I could not make it to the bed. When he died I ended up in the hospital with a temperature of 106 degrees and almost died (or fried my brain). I knew then, and still know, that experience was the physical manifestation of my emotional grief. When I love, I love hard. I knew that I never quite got over his death, but through my sobbing in the bathroom I realized that he was actually one of my soul mates. It never occurred to me before that your dog could be a soul mate, but it was presented to me in a way that presented absolute certainty. With that knowledge, and the intense emotional purging from the sobbing, another weight was lifted and I released him from my karmic field. For the first time I can speak of him without crying or feeling sadness. I feel like the advice that was given to me took form in a way that showed me how clearing that needs to happen will present itself in any form that spirit sees fit. It is important to experience it, as Open says, to “lean into it” instead of my usual Modus Operandi of telling myself that “I am being ridiculous” and trying to avoid it entirely to move on. More bricks have been lifted and fears of many things have melted away. I feel such calm with regards to just about everything right now. My heart is open to whatever may come and I know that I am free to live without judging myself so harshly, allowing myself to be satisfied with my efforts, to love the person that I am, to know and recognize what I have to offer and to do so freely and abundantly regardless of fears concerning how it will be perceived. I cannot explain all of the circumstances that led up to my being able to go to New York in the coming weeks for the Intensive, but I can say with absolute sincerity that I know that I am meant to be there and I cannot wait to embrace whatever may come. Hi everyone, I'm really thrilled to be travelling back to the USA this weekend for the latest event in the PARADIGM SHIFT World Tour. It's always a pleasure to be there, and this time especially at our new venue "Our Lady of Grace" in the peaceful and secluded suburbs of Manhatten. There are still a few places left, so if you've been feeling to book lastminute, then now is the time. 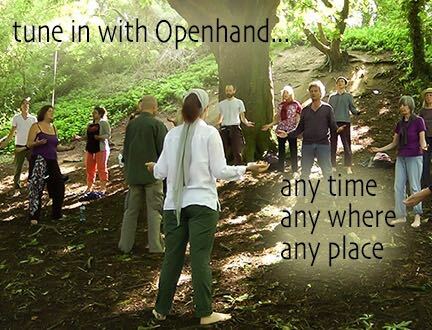 And for everyone else tuning into Openhand, due join us through the ether by meditating with us over the weekend. These events always unleash healing and aligning ripples of consciousness far and wide. It's our privilege to host. 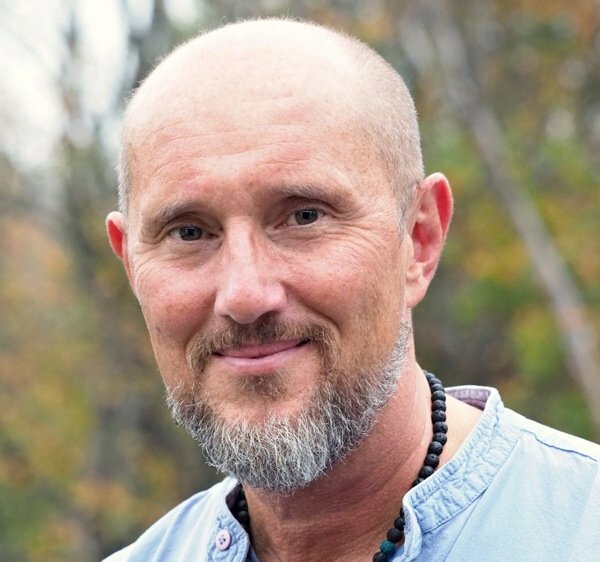 How can you unleash Your greater Cosmic Self, and live in a bright New Paradigm of Divine Interconnectivity right now? Openhand is a bridge to your higher dimensional consciousness, to unleash your authentic greatness: weekend retreat on the outskirts of New York. With meditation, self-realisation inquiry and movement to emotive music, to breakthrough into expanded "5D" consciousness. There's no need to fear The Shift, let's positively Thrive in it! Yay! Very excited to join you all in New York ❤️. My very first time near the city! Will be incredible to explore with you all. 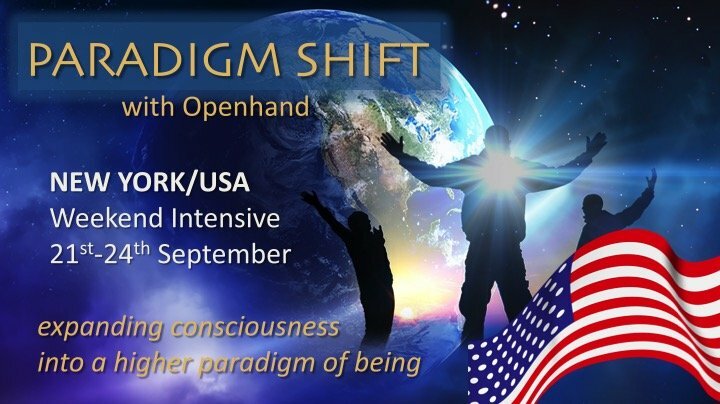 Hi Everyone, after a long journey from my home near Dartmoor UK, I've arrived safely in New York, for the US leg of the current PARADIGM SHIFT World Tour. It promises to be quite special, and I invite all in the wider community out there to tune in with some meditation during the weekend. Distance really is no object, and when a group gathers like this, it ripples vibrations of realisation and realignment. The chances are, others have inner inquiries just like yours, and the increased exploration can bring invaluable illumination through the field. So do join us. The event is taking place at Our Lady of Grace Spiritual Center in Manhassett on the leafy suburbs of NYC. 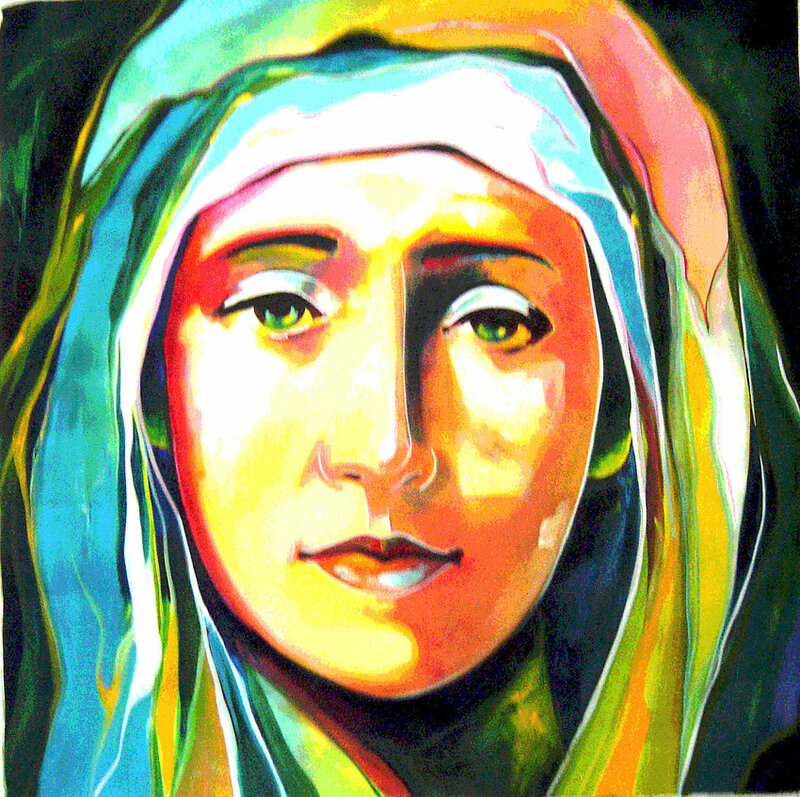 Clearly it's dedicated to the enduring grace and serenity of Mother Mary, and as I arrived in the rambling victorian mansion, the grace of the divine mother was most clearly palpable. I very much feel the energy represents how Gaia herself is empathically and compassionately holding humanity's unfolding realignment. There is a statue of her just outside my room, and it feels amazingly comforting. So whatever challenges you might be facing in your life right now, if you feel the need, wrap yourself in a warm blanket of the divine mother, because she will comfort you. If you know some of the Openhand Meditations like the Bow, the chakra attunement, Ascension, or entity removal, then take some time out and do whichever feels most aligned and right for you at that moment. 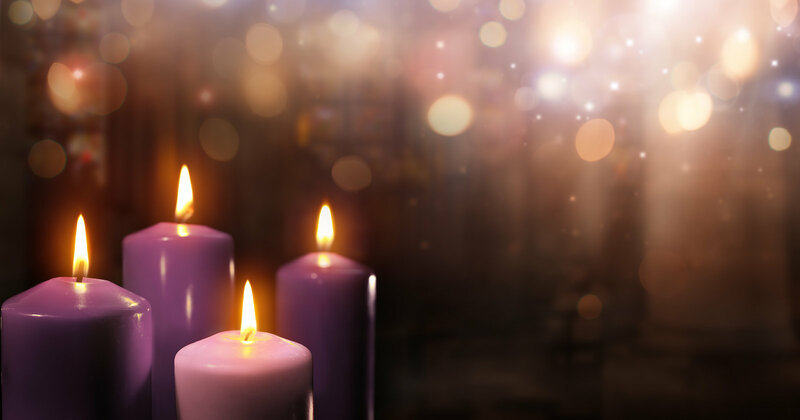 If you haven't done them, or can't remember them, then you could always download the meditations cost effectively from our Meditations Download Library. I get the sense that the yearning for political realignment within the matrix leadership is very much wanting to happen here. Maybe our meditations can help encourage a greater sense of justice, fairness and rightness. Who knows - but this I do know: when we gather together in the ether like this, then the ripples of elevating consciousness spread far and wide. So do tune in and join us - you'll be most welcome. The event runs from Friday early evening until Monday lunchtime. It will be Openhand's pleasure to host you. What a beautifully Silent vibe, very inspiring and also very supporting in view of the Autumn Equinox this Sunday. Sending graceful vibes to all! I hope people don't mind me sharing this here. I'll be tuning in for sure this weekend. Yesterday a young resident of the care home I work at for people with mental disabilities died in my arms. He was completely healthy but had got a large clump of bread stuck in his throat and couldn't breath. Despite my best efforts I couldn't remove it and when I did eventually manage to get most of it out, it was too late. Today I was supposed to be going to the Eye contact event in Vienna, but I couldn't bring myself to go. Perhaps a quiet day at home is whats called for. To connect with the equinox energies and process everything that's happened. Dear Richard - your sharing touched my heart deeply - these things happen day-in, day-out in the various corners of the globe, but of course you feel it most of all, when it's in your own community. On the one hand it's tragic, and on the other, there's always a meaning and purpose - always the possibility for the soul to gain something, even though that's not immediately obvious on the surface. The fact that you were there, holding a loving and supportive space counts volumes. And that you've been able to integrate the process speaks volumes for where you're at. Do indeed tune into the retreat, let the grace and softness of the divine mother hold you - do be sure to let the emotions flow, that's essential too. It's been a great start to the gathering here in New York. And I can feel energies connecting to the group through the ether - so wherever you are, thanks for tuning in. We're all apart of a great global family of ascending souls, helping to support the compassionate realignment of energies in this phenomenal Earth Shift that is currently unfolding all around us. New York is an interesting place to be - where we are based, you can feel the light of the divine mother shining through. And just a short drive away, you have the energetic density of the matrix, a central hub, a node holding the foundations of the capitalistic system. Last night I could feel channels right into the heart of that, and my consciousness wanting to work with it, to unwind through it. It's tiring work in the middle of a retreat, but it generally tends to happen. Lest we forget, it's not just about working on ourselves, but when we do so, we impact the wider field too. In our first session of the retreat last night, we were exploring into the nature of identity... who are you really and where do you come from? Because to understand the Shift, and ones part in it, is to understand this. It's to understand why the Universe is working as it is, what it's working to do, and how we are each an integral part of that. It's when we try to be separate (as in society for example) that the problems and challenges of separated identity emerge. So it's about going into stillness and inquiring who I am in this? There are the layers of thoughts and ideas, the goals and desires that often determine what happens during the day. And yet underneath all that, is the pure presence of the Observer, and from it, a flowing soul, simply expressing the divine nature of the One. When we can be in that, then we move into harmony with the flow and "rightness" happens. That's when we 'click in' with life's true purpose, which then magically shapes around us. Now the real challenge of presence, is that when it emerges, then absolute freedom flows. The soul is set free to express in an authentic and liberated way. And that's going to challenge vestiges of ego that still believe it has to be a certain way. So the free flowing soul pulls on all the places we get stuck, where we contract down into fear and control once more. The key is to accept that this is going to happen, and not try to resist or distance oneself from the process. Let's be clear, whatever we're involved in, the only real thing happening is our self-realisation and actualisation - I put it to you, that everything in life is the product of that. So better to be involved in the process, and trust that as you unwind through what comes up, then you unleash more creative beingness into the moment and things come more naturally into alignment in your life. So the encouragement is to allow, and then work into what comes up. Because this unleashes the realigning Shift through your life. So do come and join us, tune into the vibration, and work to unleash more of your authentic self within the Shift. It's a pleasure heaving you tune in. Yesterday, in my meditation I started having something that felt like energetic birthing contractions, moving towards and expanding my base area. It wasn’t physically painful but it felt highly uncomfortable, and it required a high level of surrender to be in. As this was happening I spontaneously called for Mother Mary’s help, to support me through it. You can imagine my surprise when I later tuned in and saw your post about the divine Mother and her presence at the retreat. I’m right there with you all. Let’s make this world a better place! Perfect explanation! Really feeling into the presence now. Just a few days ago I was still agonizing over my current situation of not loving where I live and thinking daily on how to change things and all the different scenarios. Literally, the last few days I just AM. Thoughts come and go. Just accepting what is. I feel the impatience melt away. Just being here now. Amazing! You mirror to me a feeling Tracy. Yesterday I had a dream in which I'm letting go of that part of me which needed answers. It's a conditioning and it's painfully saying good bye. I feel the presence, the place which just is. I see my life situation wanting to change and a resistance. But I also feel acceptance to any road it wants to take. Open and team, I have been tuning through the ether. Big hugs to you all. We've been exploring the real Law of Attraction, and how that creates in people's lives. It's an essential element of empowerment. But before exploring, let me first add, I'm not talking about the distortion of the Law where people are trying to bend circumstances by intentionally manifesting 'what they want'! Everything in the Universe is of consciousness and interconnected, and it draws together by polarity - like attracts like. This is what the 'intentional manifesters' have also seen. But it's essential to say, that just as the aligned aspect of being attracts circumstances to reflect that harmony, so do the unconscious misaligned aspects of being. But it's not about simply trying to ditch these negative impacts, because that risks becoming another identity that's simply avoiding. There is much to be said for choosing conditions in your life that amplify the sense of aligned beingness, yes, so that you start to know your True Self. But it's also essential to honour and work into the conditioning of the false self. So the most important aspect of working with the authentic Law of Attraction, and to empower your life, is to own all the circumstances you create around you - you literally draw all of the reflections you need to see. How do you then work with what shows up? First to understand what I mean by 'reflections': when something that you've created and drawn to yourself fires off, it will activate some degree of tightness inside - either in the chakras, somewhere in the head, the heart, or other parts of the bodymind field (and it can also be a closing down of feeling, a withdrawal - a kind of numbness). It's essential to begin to locate this tightness because it holds the keys to why you create negativity in your life. So regressing into circumstances that create such pain is important - recalling what took place, seeing the images and above all, feeling the feelings. 4. When you're fully accepting, feeling the sense of unwinding through them using breath and bodywork. Connect with the new sense of soul that wants to come through. I encouraged you to try this approach to dealing with subconscious source pain that comes up - take ownership of what you're creating in your life and work into it. You'll be amazed at the outcome. Wonderful to be connected through ether with all of you beautiful souls at New York event. This song came up on my shuffle while doing a soul motion. Something profound is happening in the Shift - more and more people are getting it, and simply refusing to contain themselves any longer. People have been shoved down into boxes and limitation for too long and are simply refusing to do so any longer. It's such a joy to see the colourful 'rainbow tribe' of unique individuals daring to be them, to step out and shine. 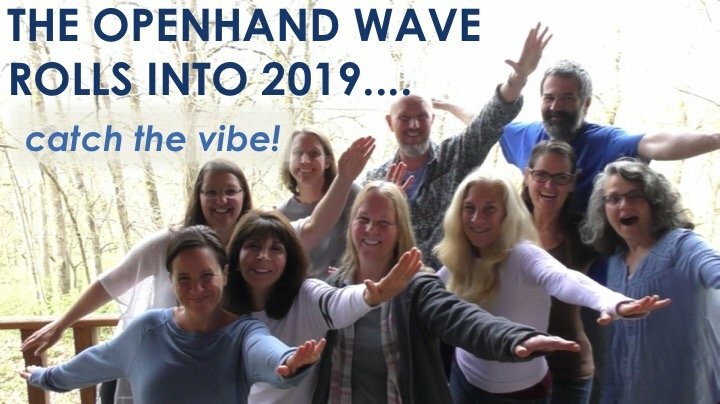 That's the wave I'm witnessing building with these first few Openhand events in the Paradigm Shift Tour. We're going even deeper than before, touching the depths of the limiting identity box, and breaking it wide open. Watching the magic of unleashing soul then becomes simply divine. There's a new possibility out there for everyone. Amidst the shenanigens of the failing system, we're catching the 5D waves of realigning energy and riding them high. Let's be clear though, this is not just about a retreat or a workshop; it's not some temporary blissed out high. We're discovering how to breakthrough the density each time it arises, thus unleashing light through it, which then can't fail to be creative in all aspects of our lives. That's the tremendous opportunity that now exists for everyone - for you all out there: the light is breaking free and we can begin to amplify it for maximum beneficial effect in our lives - in our relationships, our careers and general living circumstances. It's simply breathtaking! Come join us, it's time! There are no words. There is a lot to catch up on here...I still need to sit with what I just experienced 'openly'. Although there are no words I wanted to share the poem that was inspired by this weekend's events, the loved ones I met in New York and the loved ones that were present and holding space, for the experience, all over the world. Love droplets fall from the sky. It was always just a peach feather. "This light of mine is your reflection"
Heidi it was such a pleasure to meet you this weekend. Thank you so much for sharing your beautiful poem. That's stunning Heidi - it was a joy and a pleasure to host you. Some challenges...attempting to unwind them.. I am happy that you liked my poem. This weekend truly was one of the best of my lifetime! I learned so much (I am still processing some of it) and I am so grateful for the lovely space, the soulful and enriching people and for the entire process! I thought, however, that I might get on here and share some of the challenges that I am facing...I feel like it might help to be vulnerable about our experiences and share them so that others might benefit and, in the process, we might learn from one another even further (all of us Openhanders across the world;)). Anyhow, a rather unfortunate incident is that my boss' mom is dying in the hospital and I was called to return to Seattle, rather than go to South Carolina to help. This had me feeling uneasy as I prefer to honor my commitments. I realize, however, that everything happens for a reason and that the challenge was to attempt to unwind my attachment to this "uneasy" feeling I get when circumstances prohibit me from doing what I said I would do...to discover why I am so attached to these feelings even when it is beyond my control. At the airport, waiting for my flight, I practiced what we learned and settled into the feelings, attempting "presence" with them and not "trying" to find a "reason" why I was called home. I asked "show me" instead. After the meditation and the breathing it became very clear that my boss needed me to be here for her and her family (it is a family owned company) and I would most likely be able to honor my commitment to our Clubhouse in South Carolina at some future event. The next challenge, however, was to try and let my attachment of that possibility go. I have found, over the last 24 plus hours, that the attachments to my feelings are abundant and having "presence" is a lot more challenging in the "real world". The one thing that I keep holding onto, with each new challenge (having to fire someone that is a great employee that came to work drunk, having to tell my family that I am not prepared to talk about my trip and that I need time to process everything before I can do that, not immediately responding to multiple demands of my friends and family, etc.) is "what will serve the highest good (for all concerned, including myself)". The second "thought" that consistently comes to mind is "don't be attached to the outcome; allow your higher self to lead you to know what the highest good is that you can contribute with the "knowledge" you have and don't "future trip" on the outcome...as a matter of fact I find that I can be led to do what I can and then completely "leave" the situation to unfold as it should without my "needing to know" or "needing it to go the way I hope it will or think it needs to". I hope I am making sense and I hope that I got some of what this process is...I would love any feedback, additional teaching and/or advice that will help me continue this path as, even though it is challenging, it feels amazing to have the presence when it comes and to step forward from said presence without having a stake in it or looking back to "make sure", etc. Open, thank you so much for this past weekend in NY. I learned so much and met some incredible souls. I'm finding it difficult to step back into the outside world. This weekend was such an emotional high I'm finding it sad and a little overwhelming to be back home. Spending the weekend with other like minded souls the feeling of belonging and the energy and love that was shared was just incredible! I find it extremely difficult relating to those still plugged into the matrix and I've felt isolated and alone for so long, it truly was a blessed feeling to be surrounded by the great people and loving energy at Our Lady of Grace. I'm not a person of many words, I tend to sit back and take thing in, but I wanted to let you know what a transformational experience this weekend was for me. I knew when I boarded my flight from Tampa to New York that I would be coming home a different person. This weekend truly was transformational as the old me peeled away and my true self emerged. To be around like minded souls and be accepted warts and all was a truly life changing experience for me. I still have allot to process, but I was able to work through and let go of a trauma I've been carrying with me for over 40 years!! I feel lighter and more at peace with myself then I can ever remember. I have found, over the last 24 plus hours, that the attachments to my feelings are abundant and having "presence" is a lot more challenging in the "real world". I don't believe we always realise just how much programming is there in the subconscious. And when you start to confront it by the yearning for authentic expression, then there will be many layers to work through - like peeling away from an onion! What an amazing time with all of you! I was so touched by the warmth, loving kinship, deep explorative inquiry and pure, honest, vulnerability.